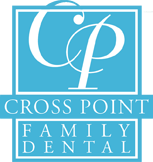 To determine if you have periodontal disease, we perform a thorough examination which includes taking X-rays to determine how much bone has been lost. We measure the depth of the pockets with a probe. A reading of more than three millimeters could be a sign of periodontal disease, and we’ll pay careful attention to those areas.